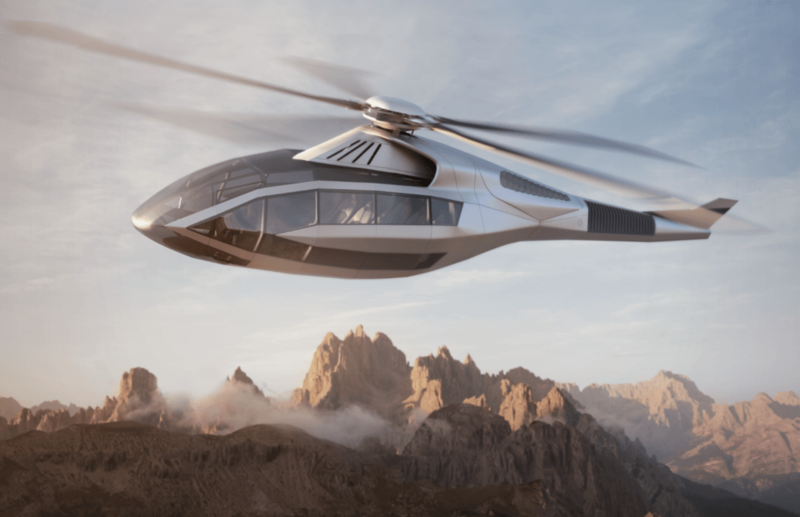 Bell Helicopter has unveiled its vision of the future of vertical lift at Heli-Expo 2017 in Dallas, Texas, in the highly-stylized shape of the FCX-001 concept aircraft. Appearing at Bell’s booth both in the form of a full-scale mockup and in virtual reality through the use of immersive headsets, the medium twin-engine aircraft incorporates some technologies currently in development at Bell and likely to mature in the near future, as well as those that are a bit more ambitious in their reach — as evidenced in a cockpit that is entirely free of physical controls. 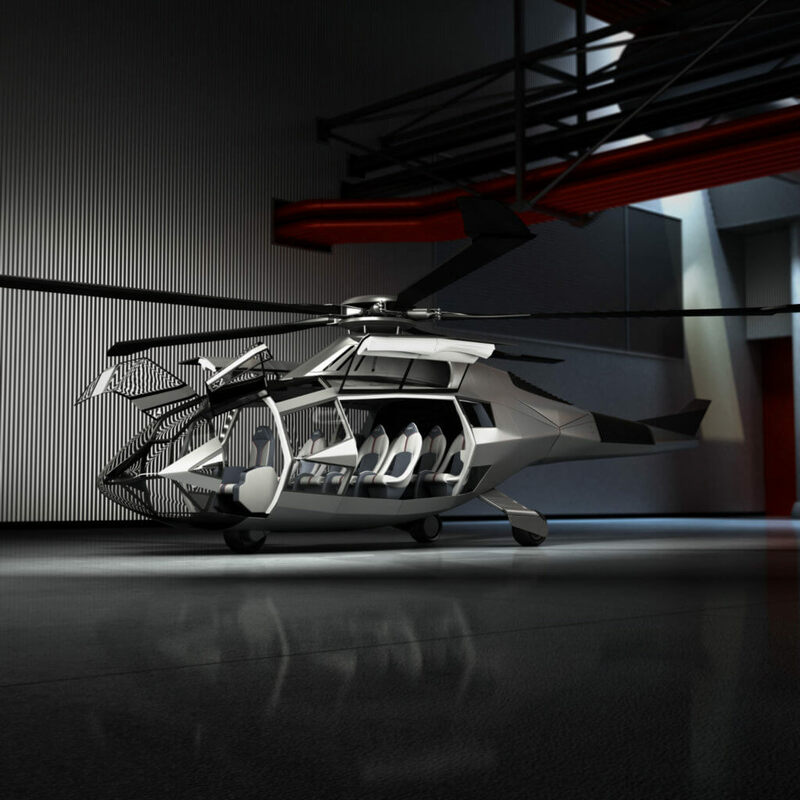 Notable elements in the FCX-001’s design include a fan-driven anti-torque system, hybridized propulsion, morphing main rotor blade tips, an extensive use of glass in the fuselage, gull-wing doors, and the use of augmented reality in the cockpit to control the aircraft. 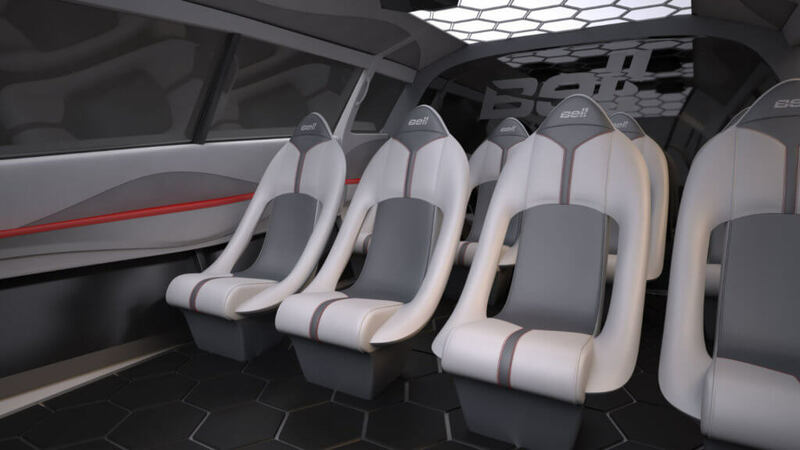 On the ceiling of the widened cabin, which is configured for eight passengers at Heli-Expo, but is capable of accommodating up to 12, Bell has designed a honeycomb of drop-down control modules to allow for maximum customization and comfort for passengers. 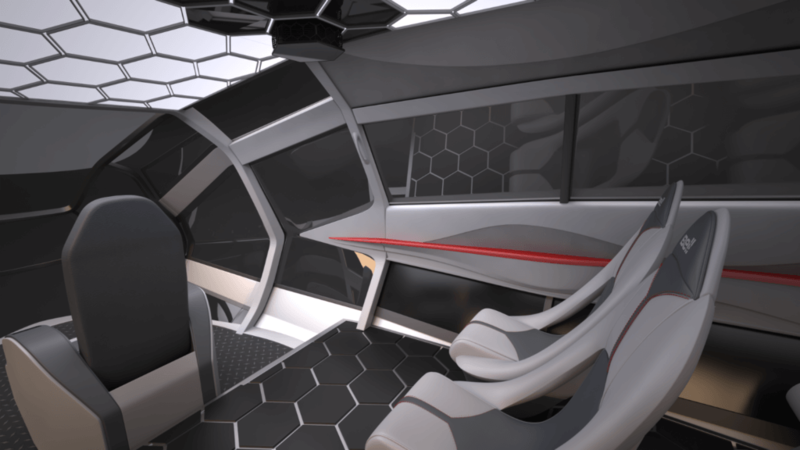 The concept envisions the modules providing the ability for passengers to adjust things such as their lighting, temperature, or infotainment experience. During a pre-show unveiling of the concept to industry media, Bell CEO Mitch Snyder said the FCX-001 was inspired by the concept cars produced by automobile manufacturers for major auto shows. “I said, ‘Let’s take the same thing to HAI [Heli-Expo] this year. 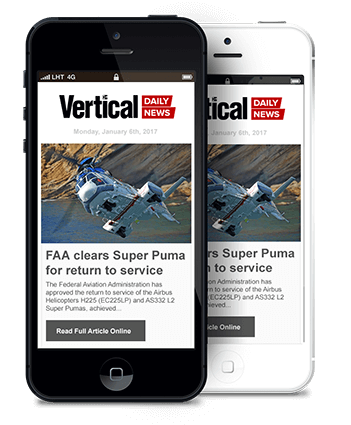 Let’s come up with our concept aircraft, take those technologies we’ve been working on — not all of them, but some of them — and apply them to a concept aircraft, and let people come see the things [we’re doing] and the ideas we’re having,’ ” he said. To reach such a goal required a novel approach to the aircraft’s design. 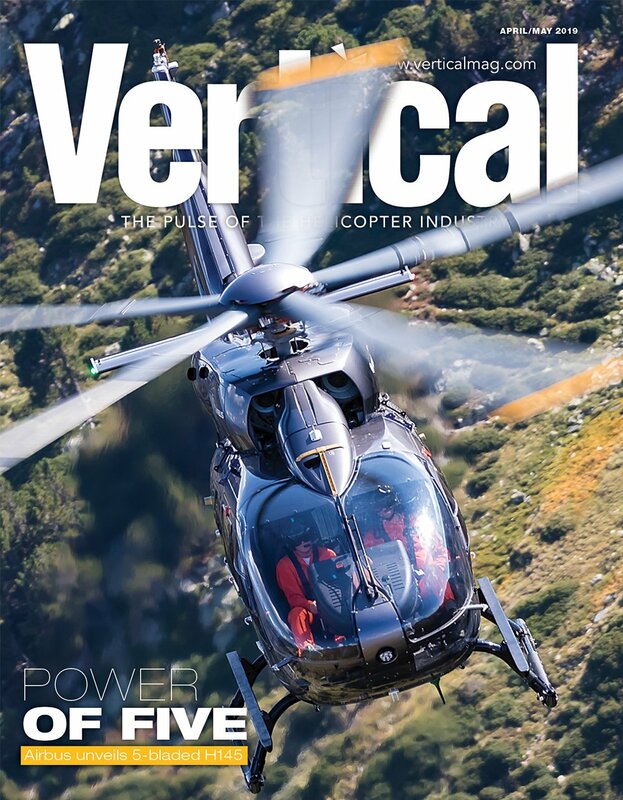 The company threw together a group of engineers and designers, led by director of innovation Scott Drennan, and senior brand strategist Levi Bilbrey, respectively, and gave them free reign to push the boundaries of rotary-wing design, with just a handful of set requirements to meet. Among these were the hybridization of at least part of the drive system, advanced anti-torque, more autonomous operation, noise reduction, and a more pleasing passenger experience. The process began with the design team creating rough sketches detailing 12 unique looks, and these were gradually evolved with the input of the engineering team and then whittled down to the final design. And in another groundbreaking move, the team used virtual reality as a design tool as they developed the FCX-001. Taking a more detailed look at the FCX-001’s design, beginning with the rear of the aircraft, it does not feature a tail rotor — a notable departure for Bell. Instead, the anti-torque is provided by multiple fans embedded within the tailboom. The vented system gives the capability to thrust in either direction, and will also have thrust vector control, allowing it to forgo a horizontal stabilizer. Powering that anti-torque system is an electric motor as part of a hybridized propulsion system. 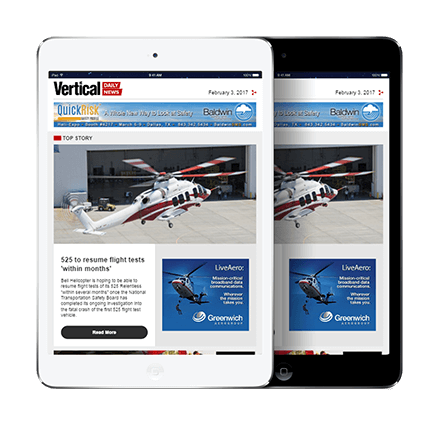 On top of the aircraft, the morphing main rotor blades are sure to be an attention-grabbing aspect at Heli-Expo. Essentially, the technology aims to allow the tip of each blade to move between different flight regimes, much like a “swing wing” on an airplane, to maximize efficiency and performance, and reduce noise. The airframe itself is also quite different to anything Bell has done previously. In terms of scale, the FCX-001 is a little bit bigger than a Bell 412 in terms of both length and width, but its lines and extensive use of glass would present a few challenges in production, with a heavy reliance on composite materials. Inside, the FCX-001 has just one pilot seat. “In a [medium twin], that’s quite unusual, but we’d like to cue up a future vision here that through computer assistance [and] artificial intelligence, you want to place the pilot in the situation where their higher brain function is doing your mission control and your important safety functions, and let the computers [and] sensors you have on board do the dumb, dirty, dangerous and dull,” said Drennan. In front of that pilot seat is a clear field of view, unobstructed by any displays ¾ or controls. These will all be provided in the form of augmented reality, in which a pilot wearing a headset will be able to create their own workspace. The idea is that the headset will be able to recognize the pilot’s hands in space, allowing them to create and move different screens around the cockpit, and even anchor them to certain points in space so that they don’t move when the pilot moves his or her head. In the nearer term, Drennan said that Bell is already running a test bench of the anti-torque fan technology, and is also setting up a hybrid system. The concept design is the most visible result of a renewed emphasis on innovation at the Bell, instigated by Snyder. Where is the incentive for the pilot to want to fly this thing??? Money is the only thing I can think of that would get pilots. No sticks to wiggle make for a very dull machine. Where is the bird strike protection, dust, snow or inlet protection? Wire strike protection? Sleek & fancy but where are the antennas? I am an ex-BHT test pilot for over 20 years & this is year 2100 & beyond imagination for the next generation of helicopters. 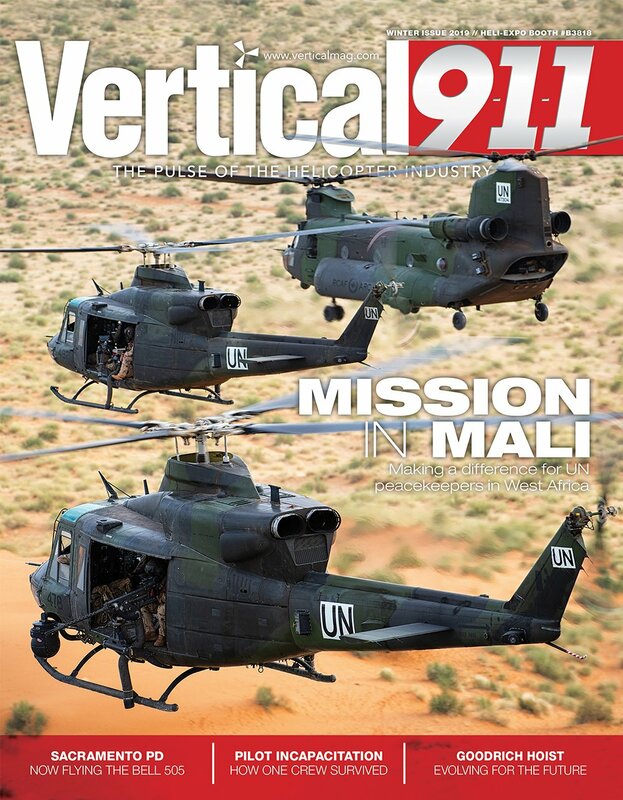 Rotor blades will soon be obsolete. Don’t forget, you still have to be able to autorotate. On the other hand the Bell 205, 212, & 412 machines will still be with us until well past 2100 working forest fires & rescue work. Like Brian says, who wants to sit in a robot? Check out the new Dubai taxi drone. Is there any hope for a military application? Kudos on an aerospace company releasing a concept, in full size HARDWARE. Though so many elements appear to ‘fail the sniff test’ per our current paradigms — vibratory and shear loads in glass, gull wing download, shaped NOTAR boom, windows AND VR?, eliminating shafting to adjacent fans, etc — this does advance the conversations as a successful concept should. Need to test the water as did Porsche 914 and Datsun 240 … remember those? This is the single-rotor pilot-in-front anti-torque-in-back crowd pushing back against the electric multi-rotor tidal wave, so will likely be tagged as evolutionary by many. no worries. If you are not drawing flak, you are not over the target.